My kids all went back to school today after a ten-day spring break … Whew!!! Now that Spring Break is over, I am regrouping to figure out what my business and personal goals are between now and summer vacation. It seems like many of you are in the same mode. There were so many of you scheduling appointments online between Sunday and this morning, I was getting the message that everyone is back to working on their personal and relationship goals! How about you? What are your goals? Do you want to have less anxiety and sleep better? A combination of yoga and psychotherapy is an excellent way to reduce anxiety, feelings of panic, and/or sleep disturbance. Many clients benefit from clearing out and desensitizing traumatic memories to improve anxiety and feel better. Or perhaps you want to have higher marital satisfaction? Many clients find that their partner becomes defensive when they try to talk about a problem at home… so they come in to iron out their relationship problems. After all, we want you to have some summer romance. So, let’s clear your problems out of the way. Maybe you want to have a better relationship with one of your children, so you are inviting them to attend a couple of family therapy sessions with you to explore how you can communicate better and have more fun this spring and summer. Do you want to improve your business life or explore a new career? Is fear holding you back? Is it time to engage in some goal-setting with the guidance of a professional? Whatever your life, business, or relationship goals are – we are here for you! Let’s rock this out until the lazy days of August! My best advice. Don’t make the same mistakes repeatedly!!! If something is not working, try something different. It sounds so simple, but it’s soooooo hard – for all of us humans! For example, I know that I should not put my iPhone in the back pocket of my jeans! I know this because about five years ago it ended up in the toilet! Not having everything I need for my life that is on that little but necessary appendage for two days while waiting for insurance to send me the new phone was not pleasant. Nor was going through the process of activating the new phone and getting everything working again. And of course, there was the insurance deductible I had to pay to get my new phone replacement. Nonetheless, what did I do? You guessed it… on Monday I did the same exact thing. After five years, I forgot this important lesson and put my iPhone in my back pocket for a minute while I was getting everything ready that I needed to run errands. I sidetracked for a quick visit to the restroom… and Plop! I am still cranky about it and I still am not fully plugged in two days later. But seriously, this happens in so many parts of our lives. We make the same mistakes repeatedly in our relationships. People know they shouldn’t yell at their spouse or their kids, but they do it anyway. Wives know they should use soft start up in how they bring complaints to their partner, but they get frustrated and come across harshly. Husbands whom I work with know one of the primary predictors for relationship conflict and failure is getting defensive to their partner’s concerns. But sometimes they forget, or they struggle to recognize how damaging the defensiveness is. In my own life, I occasionally use harsh start and guess what happens? You guessed it. I have an argument with my husband and afterwards I think, “Why did I do that?” That was so not worth it! If only I remembered to use all the helpful tools and techniques that I teach all the time! I spend a significant time in my sessions with clients strategizing what is one thing they can do differently that has the potential to create massive impact. What is the one thing mistake you have been making? What is your bad habit that you need to change? If you need help with doing something different or changing one of your personal habits or relationship reactions, please contact a Relationship Repair Associate today! You want to start therapy, but you are not sure you can afford it??? Most of my customers tell me at some point in our journey that therapy is work! I agree, it is not easy to work on healing your relationships and issues. Many therapists have gone to their own therapist as required by our ethics code, so we completely understand that psychotherapy can be emotionally tiring and mentally difficult for some people. It can be challenging to find extra money to pay for psychotherapy – all for a process that requires work and emotional discomfort! I still urge you to remember that therapy is temporary for most people, so you may want to look at if there is a place in your budget where you can cut back for a few weeks or months to be able to afford to get the emotional support and help that you need! 1) If you have a FSA or HSA Card with funds, remember that you can use those funds to cover therapy services. 2) We have helped many people to make progress towards treatment goals even when they can only budget in the cost of one or two appointments per month. If you tell us what your price point is, then we can discuss what your options are. 3) After your first session, ask your therapist for a treatment plan with goals for each session. For many people on a budget, it can help to know that after you have completed four sessions and paid X amount of Dollars certain goals and interventions will have been addressed. We find that when people know what to expect from therapy sessions, they can do a better cost and benefit analysis. 4) Be sure to tell your therapist what your priority goals are, and start with those first. That way, even if you have to take a break from therapy for financial reasons you will have resolved most of your concerns. 5) Consider seeing one of our interns or newer associates whose rates are lower ($60-100) for some or all of your therapy treatment goals. Keep in mind that although our interns and younger associates have less experience, they are still supervised by Dr. Stephanie and will get her assistance to help you reach your therapy goals!!! Please contact us for more information about psychotherapy and how we can help you have more success in your life and your relationships without breaking the bank! My heart hurts. It hurts for people who are without parents. So many of my clients (and even some people I know in my personal life) have someone who gave birth to them on this earth, but the people who brought them into this world mostly cause them emotional pain. These people are without a parent or parents. Parents listen and validate their child. They don’t tell their child “you are too sensitive.” They respect and accept their child’s feelings. Parents accept their child’s personality and flaws. The only thing they don’t accept is truly unacceptable behaviors such as serious drug use, criminal behavior, and violence. But they don’t criticize their child for personality traits such as being too talkative, or being too sensitive, or too serious about school or work or any other myriad of personality traits, behaviors, and attitudes. Only emotionally abusive people think of their child in this way. Parents give time and attention to all their children. It might not always be equal, but there are attempts to make it close to equal. Parents don’t spend most of their time and attention with one child and then rarely see or give attention to their other child. Parents praise their children’s accomplishments. They don’t put out the trophies and praise the accomplishments of one child and then hide the trophies of their other child, ignoring their accomplishments. Parents don’t love the child who is the most like themselves in personality and reject another child who is different from themselves. Parents don’t emotionally abuse a child by giving silent treatment and not speaking to their son or daughter for hours, days, months, or years. They don’t emotionally punish one child while being protective of their other child. They accept that siblings fight and have problems, but they don’t choose one child to protect while throwing the other child under the bus. Parents don’t yell and scream and curse and call names. If they do, they apologize and make amends to their child. Parents don’t repeatedly lash their children with belts or flick them with their fingers or thump them on the head or slap them across the face. If they accidentally lose their temper or engage in a violent behavior, then they later repair the relationship with their child. Parents give their child unconditional love and security. Always. Even when their child is sick, depressed, having financial problems, or going through any number of life challenges. In fact, parents are the one person who most people need to have their back. If you are Person Without A Parent, and you would like to be part of a support group, please email me at stephanie@drstephanieonline.com. If I get enough interest, I am going to start a group. If you are struggling to truly be a Parent to Your Child (no matter their age) because of your own wounds and experiences in your life, we hope you will reach out to a Relationship Repair Associate Today for an appointment. When I teach workshops about relationship communication, I always recommend that people bring their complaints to what I call the “Relationship Repair Counter.” Sometimes students think it sounds like I am advocating for people being critical. Admittedly, complaints are negative. However, complaints and criticism are not the same thing!!! First, no one wants to around someone who is too critical or complaining all the time. And second, it is not healthy to be too critical of the people whom you live and work with! So, how do you advocate for your own needs in a relationship without criticism? And how do you bring up your complaints without coming across as too negative? Be mindful. Don’t just let critical words roll off your tongue. If something happens that bothers you, try to not just react with emotion. Instead stop and think about it. After all, you want to be selective and only bring up the concerns that really bother you the most! Be respectful. After thinking about it – if you have a concern that you want resolved – start by asking the other person, “I have a concern to discuss, is now a good time?” This one pointer has helped many people to change their relationship. Humans are not good at surprises. So, if you surprise someone by suddenly bringing up a complaint, they are more likely to become defensive. Be thoughtful. Think about what you need ahead of time. Identify what your ideal resolution is. Focus on asking for the resolution that you want instead of just elaborating about your complaint. If you need more help with communication and reducing criticism in your relationship, please Contact a Relationship Repair Associate today! You are valuable, and your partner more than anyone else should treat you as their #1. But what if they don’t??? You might just be in the devaluation stage of your relationship with someone who has Narcissistic Personality Disorder. People with NPD display certain characteristics, and although they are very charming, fun, and go over the top to show you value in the beginning of the relationship – that often changes as your relationship becomes deeper. Especially after they “have you” (you have either gotten married, moved in together, or had a baby together) – you will find yourself being devalued. Your partner stops doing nice things for you. They either withdraw emotionally or they try to control you (or a combination of both). These are some of the most common traits of NPD and usually the prognosis is not good because most people with NPD do not accept that they have a problem. Many people with NPD end up having a lot of failed relationships after various partners leave them. Because you are a Diamond and should be treated as such by your #1. If you think you might be in a relationship with someone with NPD, you can discuss with a Relationship Repair Associate and verify your suspicions either through attending Couples Therapy or Individual Therapy. Please Contact Us today for assistance. It’s Not Where You Start In Life… It’s Where You Finish!!! I grew up listening to the motivational speaker Zig Ziglar saying “It’s not where you start, it’s where you finish!”. My parents had audio tapes they listened to while we were driving. In fact, while driving around on vacation one summer, I think we listened to all the tapes Zig had ever produced for one week!!! My father had just started his own manufacturing company Weiland Doors Inc after going broke farming, and I think he was trying to pump himself up with positive motivation that would help him sell his product… Our family had very little real money at that time, although my Dad always worked to make sure we had enough. In his book, Smell the Dirt, my father Leon Weiland wrote about how his father had a goal to become a landowner. My own father helped to work the farm, and he feared his father’s anger. His father was working so hard to reach his financial goals and own his own land that he frequently became frustrated. I have many clients who are overcoming this kind of developmental trauma. Therapists call it developmental trauma when someone has a repeated history of many incidents of not feeling safe in their family relationships growing up. I have so many teens and adults who are fighting to finish better than they started, and I am honored to be a part of their process. When people go through numerous experiences of being emotionally neglected, being physically abused, going through sexual violations, or being exposed to drug use early in their life – it changes their neurological wiring and creates emotional reactions later in life that can cause all kinds of havoc in their relationships. For all of you who are fighting to overcome developmental trauma or other life struggles, I want to remind you “It’s not where you start in life, it’s where you finish.” And sometimes just finishing in a mental state where you feel at peace is quite an accomplishment! I myself helped work the farm at times growing up. I didn’t really see this as a deficit; my parents made sure I also had time to play sports and to go to summer camp. However, I will tell you that walking up and down bean fields cutting weeds in the summer heat for many days was something that made me appreciate being able to study in an air-conditioned classroom! Perhaps this is one of the reasons I loved school and learning!!! I have finished further and farther than many people I know, and I attribute my successes to the challenges I have had in my life. My own children are surpassing the accomplishments I had at their age, and I trust that they will have more emotional and financial wealth than I have had. But not because of entitlement; they have also had to work hard to accomplish their goals. For some of us… hard work and even some deprivation can make us stronger. I am proud of my father who overcame developmental trauma and growing up without land to build a national company. My own children are now working hard to attend elite colleges and to do things that I would not have even dreamed of! What this boils down to is that in my own family of origin, we have broken generational patterns of family abuse, developmental trauma, and poverty to create a life of emotional security, familial bonds, and financial success. And, if this something you are also striving for then I hope to help you do the same. Let’s set your therapy goals and your life goals high! I recently had a client say that they feel selfish if they complain about things they do not like in their relationship! They asked me if I think it is selfish to share their concerns and needs??? NOOOO, this is not selfish! Now, I am not saying that I have never thought someone was selfish or narcissistic. In fact, sometimes I have diagnosed a client with Narcissistic Personality Disorder (NPD) or Traits. Some people are inherently too selfish too much of the time. For more on NPD, there will be another post later this week. However, in most cases people are not selfish to tell someone their concerns or relationship complaints and to ask for what they need. In fact, in high functioning, successful families – repairing relationship complaints is a common occurrence. Along with positive appreciation and compliments, there is plenty of room to also discuss concerns and problems. Who wants to be in a relationship in which you cannot ever bring up a complaint and have it resolved? Not ME! Unfortunately, some people have a bad history of bringing up relationship concerns so they get confused. For example, in some family relationships children are guilt tripped if they complain about something. Or, in some family relationships children are punished or ignored for bringing up complaints. This breaks my heart because children are supposed to be able to go to their family members with their hurt, pain, and concerns. In fact, being able to do this is the essence of human bonding and attachment. It’s how we know “I am lovable.” I am not saying there are not moments when we need to tell our kids “just deal with it” but there are also needs to be a consistent response of validation most of the time from parent to child. The opposite of this experience – if it happens most of the time within a parent-child relationship -is a form of emotional mistreatment. Research indicates 1 in 8 children are being mistreated by their parents, with the most common form being patterns of emotional abuse. One form of emotional abuse is to repeatedly ignore a child’s emotional needs or to guilt trip the child for expressing their emotions – including their complaints, hurts, and needs. The child then grows up thinking it is selfish to share their concerns and vulnerabilities. Sharing your complaints is the opposite of selfish – it is a good thing! When you can share your complaints, concerns, needs, and vulnerabilities with someone then you able to be fully attached with another human being, including with your intimate partner. And, since I am the business of helping people have close, happy, successful relationships then it is my job to help you get the idea of “I am selfish” out of your mind just because you have a complaint and a need within your relationship. For more assistance with how to express your relationship needs, please Contact a Repair Associate for support! Free Relationship Workshop – Limited Space Available – Register Right Away! 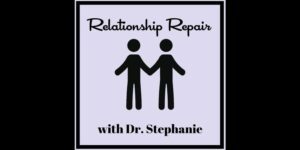 There is a lot going on at the Relationship Repair Shop right now! Tomorrow I am giving a presentation to Capital Women’s Care and also to employees at Cisco in Maple Lawn, Maryland. Here is how you can Register yourself and your significant other or family members to improve your relationship satisfaction!!! I will be excited to see my followers and clients there for more information and an opportunity to improve your Relationship Repair Counter! And, I am planning to ask Mr. Knarr if he will make an appearance and join me for a live demonstration of how we use Relationship Repair in our family!